Hypoallergenic Golden Retriever? Not so Much! 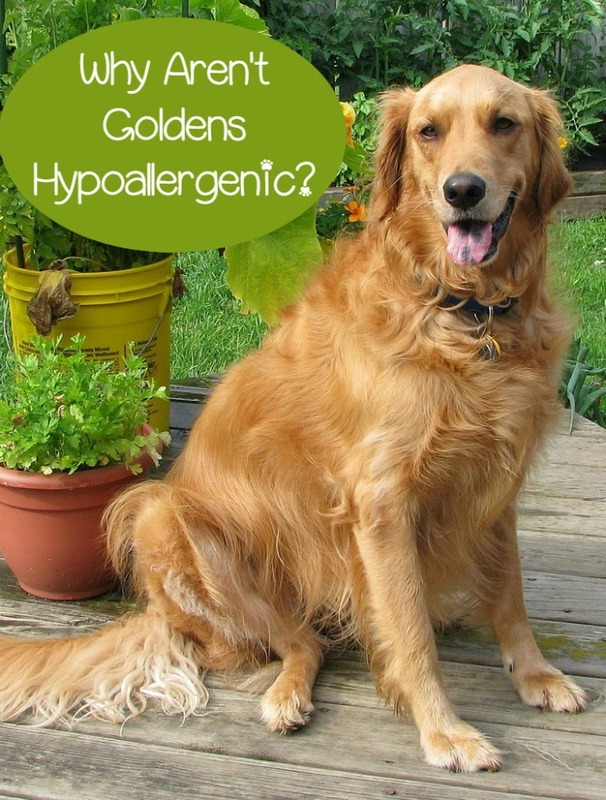 Are Golden Retrievers Hypoallergenic Dogs? If you are looking for a hypoallergenic golden retriever you are out of luck, unfortunately! Golden retrievers are not typically considered to be a hypoallergenic dog breed. I say “typically” because there are exceptions to every rule. Example: you just so happen to be allergic only to dogs with with short, wiry hair. In that case, the Golden would be hypoallergenic to you. For the sake of the widely accepted definition of hypoallergenic dogs, Golden’s just don’t fit. Golden Retrievers are a great breed but for many reasons they are not considered hypoallergenic. They do have many other fantastic qualities! Why Isn’t the Golden Retriever a Hypoallergenic Dog? One of the main, and perhaps most obvious reasons, Golden Retrievers are not considered hypoallergenic is their beautiful coat. They are a long haired dog with a coat that will shed on a pretty consistent basis. Even with daily grooming their long coats are not typically suited for allergy and asthma sufferers. Golden Retriever’s needed their long coats originally to protect them from the cold temperatures and as a source of insulation. These dogs were often water loving and their coats protect them from the cold temperatures. Another reason that golden retrievers are not considered to be hypoallergenic dogs is because of the dander they produce. Dander is the substance that typically triggers allergic reactions in allergy and asthma sufferers. For a dog to be considered hypoallergenic they need to have a low dander rating and unfortunately golden retriever’s do not fall into this category. There are some other really great benefits of the golden retriever breed even though they are not considered to be hypoallergenic. They are a wonderfully loyal and agreeable breed. They are likely to get along with other animal well, are not typically aggressive towards other animals or towards people and children, and they are a very intelligent breed that can be easily trained for sporting events. 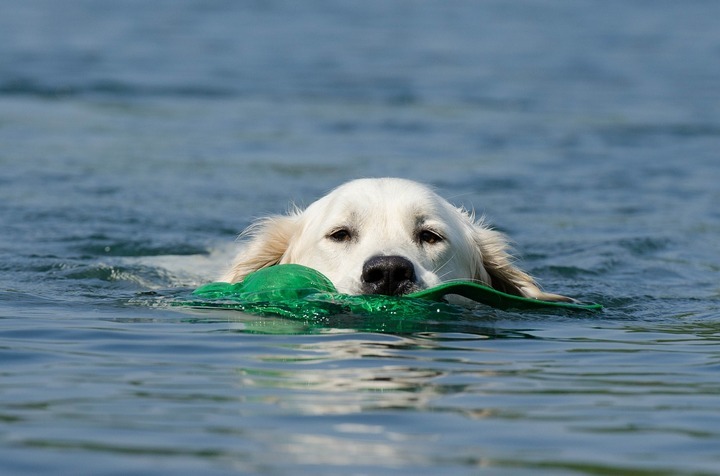 Golden retrievers have a waterproof under-layer to their coat which allows them to spend time in the water without becoming excessively cold or wet. Golden retriever’s make for great pets also because they are very good at adapting to change. Some dogs do not do well with changes in location, schedule, etc. Golden retrievers do not suffer from this sort of anxiety and are usually quite good with change and learning. Although golden retrievers are not considered to be hypoallergenic they can make a great family pet. Because all dogs are different and all allergy/asthma sufferers are different it never hurts to meet or spend time with a golden retriever to see how you or your loved ones would react. If you are able to tolerate the breed they make a great family pet! Do you have a Golden Retriever? What do you love most about the breed?